Publishing the feeds and collecting data is a very major part of the work for almost all the website owners and bloggers. It is of great value to keep a track on the number of new subscriptions, knowing how many subscribers return, keeping a record of all the new subscriptions and all other related information. Feed burners have proven to be the most recommended choice when it comes to gathering all this data as the feed burners deliver excellent services nevertheless sin the recent times these Feed burners have proven to be a little troublesome than being helpful. Feed blitz is an excellent alternative to Feed burner which is both a RSS publishing service and as well an email newsletter. 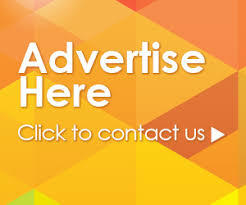 If you pay a fee of near about 1.5$ it can ensured that there will be no advertisements published along with your feeds & as well you will get near about ten emails per month. Feed blitz provides complete management of RSS feeds along with various social media bookmarking & various branding metrics. With the help of Feed Blitz you can manage several RSS feeds and simultaneously access real time reports. Feed Blitz provides you a splicing feature so that you can combine comments, RSS Feeds, Links from several social media services. With this you can as well migrate, redirect, delete and edit feeds. Feed blitz has lots to offer to its users thus a viable idea to compete with feed burner. If you want keep a track of your websites activity along with unique visitors and page view on a yearly, monthly, weekly or daily basis you can make use of the most comprehensive analytics Mint that is developed with the intent of managing websites and recording the RSS Feeds. With the help of Mint one can as well get the information about the referrers, the most recent and repeated referrers. Mint makes use of Peppermill that is a free plug in for adding on extra features and services to what Mint has to offer. By just paying a fee of thirty dollars one can have complete access to Mint, Pepper, the Forum and all other updates. It is very easy to set up whilst having customizable scheduling and frequency. It can be used free of cost and the statistic for this are available only on Google Analytics. Subscriber 2 is a practical and simple plug-in where Feed Burner cannot access the RSS feed it requires. Unlike the normal Feed Burner which sends updates directly into the subscriber’s mailbox the Subscriber2 will collect the email id’s of the readers and will automatically update them when a new post is written. This is a free plug-in specifically designed for tracking the feed subscribers. This will function on various feed types such as ATOM, RSS so as to keep record of the number of people who are following your website or blog. If you just don’t want to have anything complex for that matter of fact and want to know only the number of readers in that case Feed Stats is a penultimate choice for you. With the help of this free service one can publish both ATOM and RSS feeds. By just having a minute button onto your website you can record the statistics on the number of unique visitors at the same time providing you access to publish feeds onto various social bookmarking websites and different readers. In fact with the help of this you can as well see from which part of the world you are having more number of visitors.